I remember in a previous Pyramix 7 workstation, I had a keyboard short cut Ctr+Shift+1 = Recall Nudge Setting 1; Ctr+Shift+2 = Recall Nudge Setting 2; etc. Owner / Music Producer at Leaf Music Inc.
it used to be in Pyramix Settings/Application/Editing. Is it not there anymore? Otherwise the menu might be hidden in Pyramix Settings/Application/Desktop layout....but I will remain working with PMX 9, so not sure what the current place for these settings is. 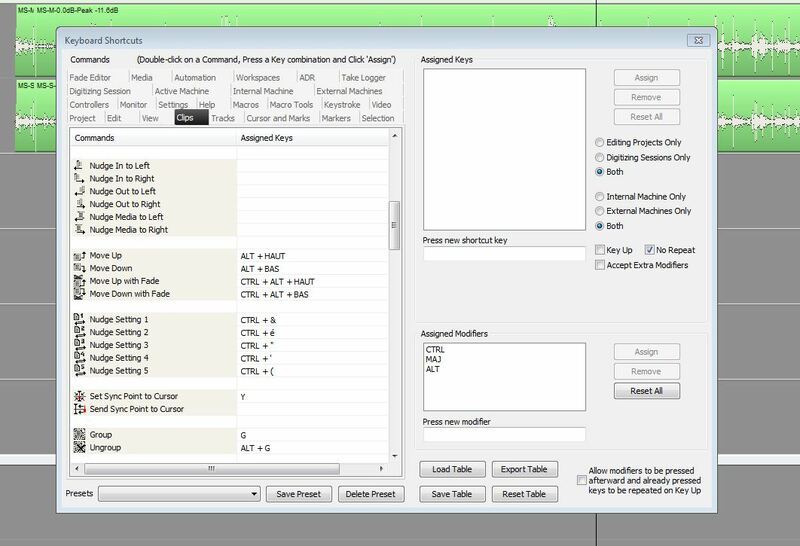 Oh, yes you can still manipulate the five nudge settings in the application settings menu, my issue is I cannot figure out how to switch between them quickly while editing, without using the mouse.